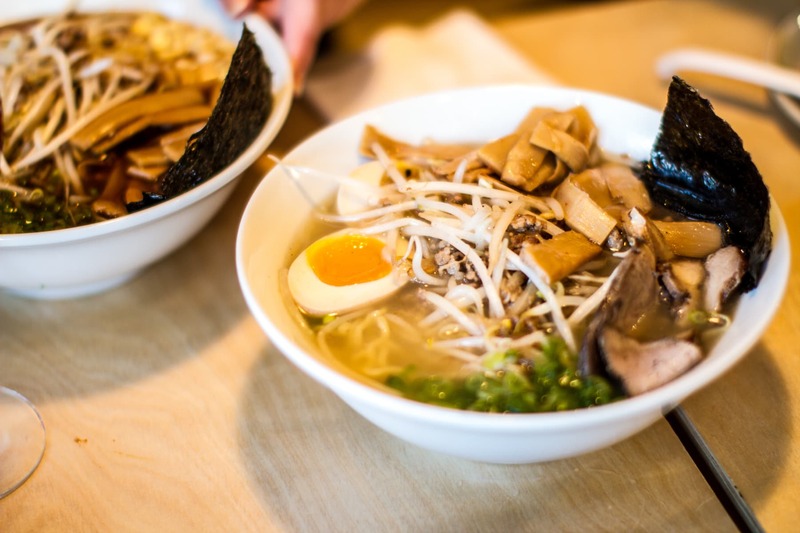 Daisuke Utagawa, Katsuya Fukushima and Yama Jewayni, who own Daikaya and Bantam King in Chinatown, are opening another ramen shop, Haikan, at 805 V St. NW in Shaw’s Atlantic Plumbing Building at 5 p.m. on Saturday. The new shop will serve Sapporo-style ramen with four chintan stocks: Shio, shoyu, miso and vegetable. The shio has a delicate flavor with a slight hint of seafood. The shoyu is classic soy-based stock from the Showa Period, lighter than the shoyu ramen at Daikaya, and topped with half an egg. The miso-flavored ramen will be lighter and gentler with sesame seeds than the more aggressive mugi miso at Daikaya, while the vegetable is a mix of vegetable stock and miso that is slightly spicy. The The menu also includes small plates including mapo tofu poutine, Roasted kabocha squash, smashed cucumber salad, crab rangoons, mussels and “pea-sar” salad with snow peas, pea shoots, edamame, sea beans, a soft boiled egged, shaved parmesan and fried baby sardines. Dessert includes Kings anpan, steamed Kings Hawaiian bread with sweet red beans and butter or kakigori, a shaved ice desert like they are serving at the National Building Museum’s Iceberg exhibit. Ramen is $12.25-$13.75, while small plates range from $8-$10. The bar program includes cocktails such as the Wasabi Peas with gin and snow peas muddled with yuzu, sugar and fresh wasabi. There will also be 10 types of sake and five types of shochu. The 2,120-square foot restaurant was designed by Brian Miller of Edit Lab at Streetsense, who also designed the other two restaurants. The interior features concrete, exposed ductwork and strong colors including green, red and mustard. It seats 55 inside and 30 outside at a communal table under a trellis. There are also garage-style doors, which can open on warm days. Haikan is open for dinner nightly beginning at 5 p.m. Lunch and weekend brunch will be added later. Ice Cream Jubilee, 301 Water St. SE, will open a second location at 1407 T St. NW next month. Owner Victoria Lai told the Washington City Paper that the ice cream parlor will open in the former BakeHouse location, which closed in May. BakeHouse owners Niall Cooper and Lindsey Morse will continue to operate their wholesale bakery out of the back, while Ice Cream Jubilee subleases the front. It will be somewhat smaller than the original shop in The Yards on the Capital Riverfront. Cherry Blossom Creative is designing the new store, which will feature two large ice-cream cabinets that can hold about a dozen flavors each. She said the original location needs more space for “ready-to-scoop ice cream” with lines growing, especially on weekends. Lai is also considering adding floats, hot drinks in winter and new sundae combinations. Lei chose the new location because current customers come mostly from Columbia Heights, Dupont, Logan Circle and Woodley Park in addition to The Yards. Other expansions include Buredo, the sushi burrito shop near Franklin Square and in Dupont, will open a third location at 625 H St. NE, across from the future Whole Foods in late winter or early spring. The 1,500-square foot spot will be between the other two in size. TaKorean, the Korean taco eatery that started as a food truck, will open its fourth bring-and-mortar location at 1301 U St. NW next spring joining locations in Union Market, The Yards and Metro Center. The new restaurant will serve similar build-your-own Korean-style tacos and bowls with local draft beers, sake and shochu. The 1,800-square foot restaurant will be in the form U Street Café location in the Ellington mixed use development. 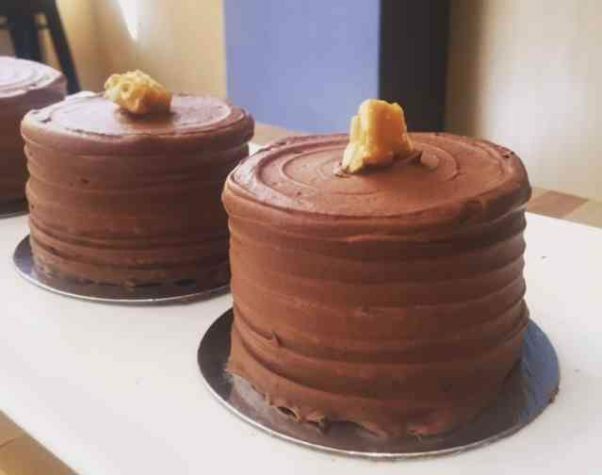 RareSweets, 963 Palmer Alley NW in CityCenterDC, has added new seasonal items to its menu. New cookies, ice cream flavors, seasonal cakes and a special edition ‘peach sundae’ are on the menu. New cakes include a peach bourbon cake ($6/slice) made with peach cake, peach jam and bourbon buttercream; blueberry nutmeg cake ($6/slice) with nutmeg cake, fresh blueberries and vanilla bean orange blossom icing; maple raspberry cake ($6/slice) with maple cake, fresh raspberries and maple buttercream; lemon blackberry mini cake ($6.50/cake) with lemon cake, blackberry jam and lemon buttercream; chocolate peanut mini cake ($6.50/cake) with chocolate cake, peanut pastry cream, chocolate icing and peanut brittle. The Tall, Dark and Handsome cookie ($2.25/cookie) is a dark chocolate cookie with milk chocolate chips and Hillary’s Oatmeal chocolate chip. 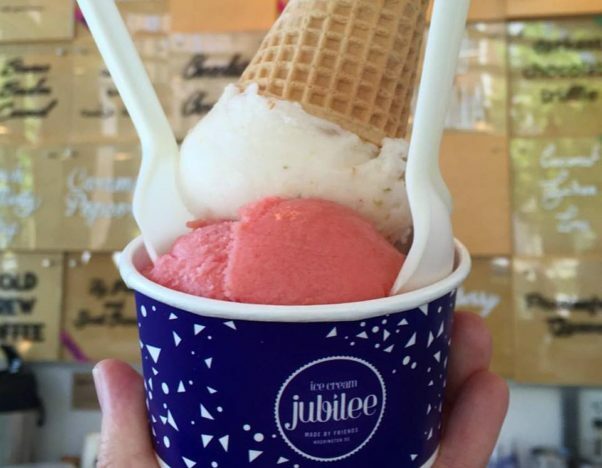 Seasonal ice creams and sorbets ($5.75/small, $6.75/large) includes sour cream sorghum, caramel, dark chocolate, yellow nectarine sorbet; yellow watermelon sorbet, raspberry lemonade sorbet, blueberry and buttermilk sherbet. The shop is also serving a peach sundae ($8) with fresh peaches, sour cream and sorghum ice cream, nutmeg cake, peach jam and fresh thyme. 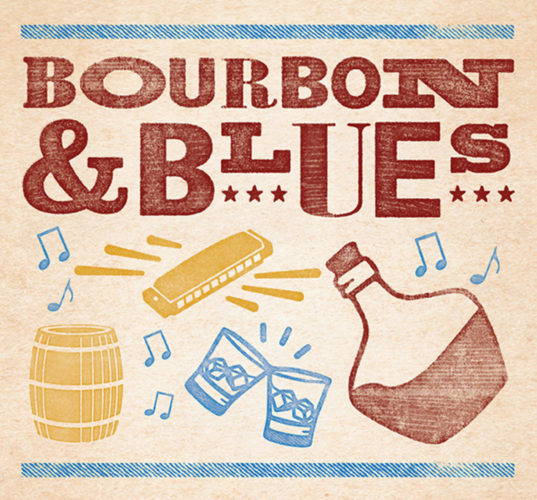 Kick off National Bourbon Month in September early with Bourbon & Blues from noon-3 p.m. on Saturday, Aug. 27, at Bourbon Steak in the Four Seasons Hotel, 2800 Pennsylvania Ave. NW. The shindig features three hours of foot-stomping live blues, signature bourbon cocktails, wine, beer and a buffet of Southern-style barbecue in the restaurant’s courtyard. The event will feature bourbons from D.C.’s One Eight Distilling and Jos. A. Magnus & Co. Distillery along with a single-barrel mint julep ale from Flying Dog Brewery. The menu features all-you-can-eat picked BBQ pork shoulder; Texas-style braised lamb shoulder and beef brisket; and Memphis-style dry rubbed pork ribs. There will also be classic cookout sides like cheddar mac and cheese, jalapeno dill coleslaw, scallion cornbread and Chesapeake crab salad. Dessert includes blue and blackberry cobbler, peaches and sweet tea doughnuts and strawberry shortcake with sweet cream biscuits. Macon Bistro & Larder, 5520 Connecticut Ave. NW, will host its second Bubbles, Oysters and Brews party from noon-4 p.m. on Saturday, Sept. 3. Cost is $35 per person. 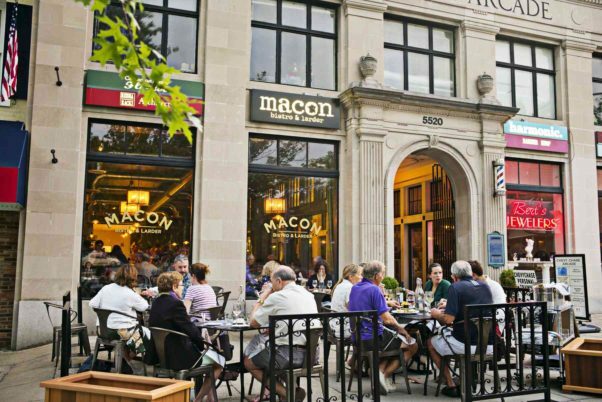 Diners can celebrate the last days of summer on the restaurant’s 25-seat covered arcade and outdoor patio with all the bubbles, oysters and brews they can eat and drink. Circle Wine & Spirits will pour wines from Roy Cloud’s Vintage ’59 Portfolio that pair perfectly with locally farmed oysters from Rappahannock Oyster Co., as well as pouring brews from D.C.’s Handsome Beer Co. with beers such as the Medium & Message Abbey Pale Ale, Galaxy Saison Tropical Saison and the Strange Charm Reinvented Brown Ale. Jorge Chicas is the new chef de cuisine at BLT Steak, 1625 I St. NW, replacing Marc Hennessy, who is moving to BLT Prime at the new Trump International Hotel on Pennsylvania Avenue NW. 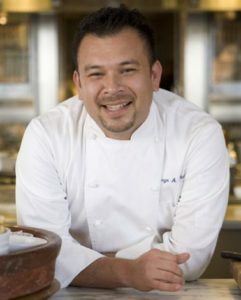 Chicas, who was born in El Salvador, returns to D.C. from the Red Hen Tavern at Kimpton’s Hotel Monaco in Philadelphia where he was executive chef. He studied at the Culinary Institute of American and got his degree at L’Academie de Cuisine in Maryland. After graduating, he joined Capital Restaurant Concepts to lead the opening of eight restaurants including Neyla at the MGM Grand Las Vegas and the Georgetown Seafood Grill in Washington during his 11-year venture.